Objects have been used for spiritual healing purposes since times immemorial, right from acupuncture needles in China, to healing rods in Egypt to dream catchers in North America. These objects were used to protect against evil spirits and perform spiritual healing, among other functions. In current times also, many new objects have been developed for use as spiritual healing tools. Through our spiritual research, we have found some objects have a high ability to heal us spiritually and they are presented in this section. These objects are inexpensive and relatively easy to obtain and using them enriches us with the Divine consciousness (Chaitanya) in them. We can receive spiritual healing through objects in a variety of ways. The objects can be kept near us, applied directly to our bodies, placed in water and sprinkled, or even lit with fire in the case of spiritually pure incense sticks. Many seekers have experienced the benefit of using these objects and improved their spiritual practice through them. 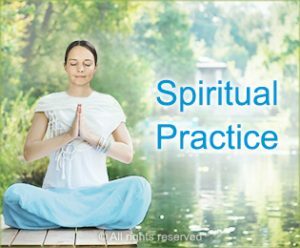 Making use of spiritually pure objects for healing helps to increase the Divine consciousness in us, so when they are used along with doing appropriate spiritual practice, they help to increase our spiritual capacity to overcome negativity long term. 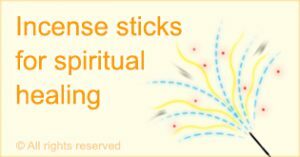 Seekers all over the world have benefited from SSRF incense sticks. These incense sticks perform spiritual healing, imbue us with Divine consciousness (Chaitanya) and protect us from negative energies. Read how they benefit us so you can experience their benefit firsthand. Agnihotra is an ancient ritual and its practitioners say performing it yields a multitude of benefits, including a reduction in stress, greater clarity of thought, improved overall health, increased energy and feeling more love towards others. In addition to all of this, Agnihotra is also said to purify the environment. Our spiritual research into Agnihotra confirmed what practitioners have been saying and complemented it. Imagine you have just seen a nuclear bomb detonate in the distance. Your first thought would likely be “How can I protect myself and my family?” Through spiritual research, we have found that a simple ritual can protect us from the harmful effects of radioactive fallout in the event of a nuclear explosion. The beauty of SSRF incense is that in addition to its excellent healing ability while it burns, it also provides another spiritual healing remedy in the form of Holy ash (vibhuti) after it burns. 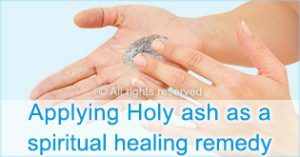 Holy ash can be used for healing in multiple ways. Here we explain how we can collect and store Holy ash for use. The way we handle Holy ash made from SSRF incense also impacts its effectiveness as a spiritual healing tool. If we treat Holy ash with reverence and protect it from physical and spiritual impurity, the Holy ash has more healing effect. Holy ash from SSRF incense can be added to water to charge it with Divine consciousness and make Holy water. This Holy water can then be used as a spiritual healing tool. 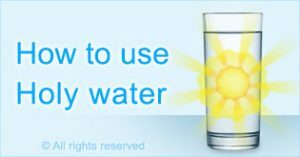 Holy water can also be made by charging it by chanting the Name of God. 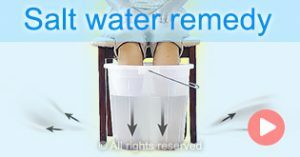 Holy water made by charging can be more or less effective than Holy water made from Holy ash depending on the spiritual level of the person charging the Holy water. 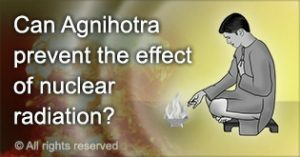 Given the immense benefits Agnihotra can confer, it is prudent to practice it. Here we give step by step instructions on how to perform this ritual in a way that helps us to derive maximum benefit. SSRF incense is a powerful spiritual healing tool and there are some things we can keep in mind to derive the maximum benefit from them. Here is a practical guide on how to use SSRF incense in the best possible way. 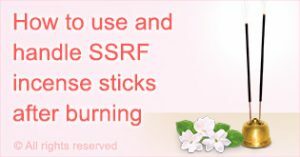 Here we answer some frequently asked questions about usage of SSRF incense. Applying Holy ash is a simple way to imbibe positive energy, reduce black energy and supplement our spiritual practice. Holy ash can be applied in a variety of ways depending on the need. Holy water made from Holy ash or by charging can be used in a variety of ways for spiritual healing. It can be sprinkled, applied, and in the case of Holy water made by charging, consumed. Holy ash from SSRF incense can be blown to purify the environment or as a spiritual healing method. When Holy ash is blown, it spread positive energy to the environment or to the person it is being blown on and reduces spiritual distress. 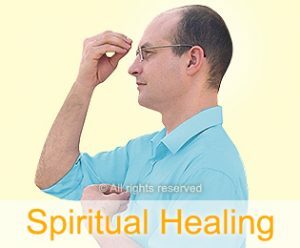 In this video, different spiritual healing techniques using SSRF incense, Holy ash, Holy water and more are shown as they are applied to a possessing ghost that has manifested in a seeker doing spiritual practice. Gomutra or Indian cow urine is a potent spiritual healing tool. 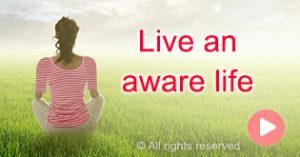 It is more effective when the root cause of a problem is spiritual and many seekers have experienced a significant reduction in distress after including Gomutra in their spiritual healing regimen. Fiona overcame a persistent skin rash that was not responding to medical treatment by applying Gomutra. Shweta was suffering from a severe case of typhoid and when all treatments failed her family turned to Gomutra and she recovered. A simple spiritual healing tool that has helped seekers all over the world. Holy ash is convenient to make and easy to use. It spread positivity when applied, blown or sprinkled. Being aware of the spiritual dimension that affects us all improves our lives at multiple levels. 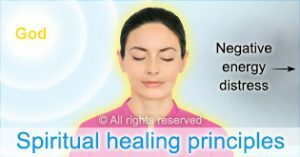 Discover the principles underlying spiritual healing and how it can benefit us most. 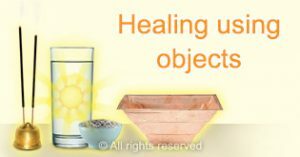 Objects that are spiritually positive are an excellent supplement to our spiritual healing toolkit. They increase positivity and improve our spiritual practice. Being independent regarding spiritual healing is generally best, but in some cases receiving healing from others is warranted.